Last year Porcupine Tree released their latest album The Incident. 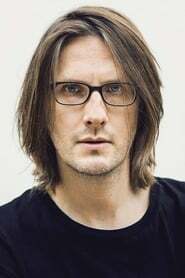 The album marked another step forward in the incredible journey of the band from a solo studio project created by Steven Wilson in the late eighties to a Grammy nominated act and one of the world’s most revered live bands, currently selling out arenas across the globe and wowing fans with their incredible performances. “Anesthetize” is a DVD which captures the power of the band’s live show. Recorded on multi-cameras over two nights at 013 venue in Tilburg, Holland in October 2008, the concerts featured tracks from throughout the band’s career. “Anesthetize” collects the highlights from the two shows. It is only the band’s second ever DVD release.